New Delhi: Online shopping prevents work-related stress and several types of health issues caused by it like hypertension and depression, a study revealed on Friday. The study, conducted over a period of six months, has also showed that over 40 per cent of professionals world wide consider online shopping as solution for their stress and depression caused due to their work. During the survey, which was conducted across major cities including Mumbai, Chennai, Delhi and Pune, it was revealed that most of the people found that online shopping was an easier way to lower stress as it needed less efforts. 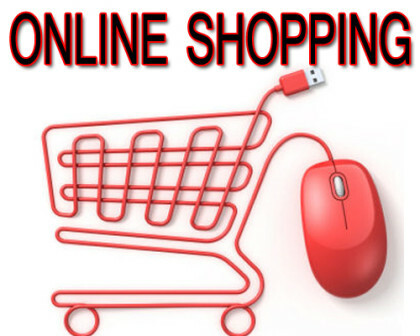 The study, conducted by leading web portal Shop Pirate, revealed that 45 per cent of the people in India voted online shopping to be the best way to ensure temporary distraction from anxieties caused by the work. According to the health ministry, 40 per cent of the people in cities and 20 per cent in rural India suffer from hypertension and the number was fast increasing due a sedentary lifestyle and hectic working official working hours. Medical experts rate hypertension and depression as the leading factor for a slew of diseases including heart attacks, paralysis, renal failure and thickening of the arteries. “While shopping, their level of oxytocin, hormone of love and happiness, increases due to excitement. It’s like when we kiss or hug our loved one, we feel this hormone and our happiness grew. This helps in decreasing stress level and relieving shoppers who gets feeling of achievement,” Kulpreet Kaur, co-founder of Shoppirate.in, said in a statement.